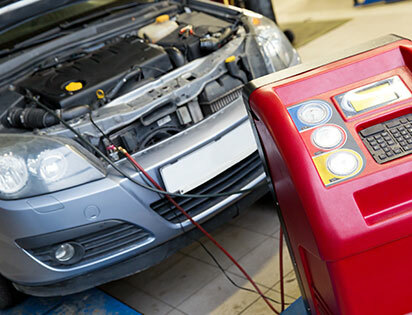 If you’re looking for a car service centre for your car air conditioning in Berwick, you need look no further than Berwick Automotive Repairs. It’s important, to maintain quality, clean airflow from your car air conditioning to book into a car service centre for an air con service at least every two years. This service should include emptying of your vehicle’s old refrigerant gas, which will work more inefficiently as it ages. A full car service for your car air conditioning in Berwick, you should also ask for a system leak test. With a properly accredited Bosch car mechanic, you will save on running costs; with a well-serviced car air conditioning Berwick vehicles will run efficiently, consuming less fuel. For optimum car repair, a working air con system is a must. Motorists should note that an unclean air con system can cause illnesses in motorists – called ‘sick car syndrome’ – owing to the build up of nasty bacteria. Watch for foul smells emitted from your air con vents. This means it’s definitely time to book in for a car air conditioning service. Whether you need a car mechanic for your air conditioning in a Mercedes Benz, BMW, VW, Audi, Peugeot, Renault, Alfa, Saab, Volvo or many other brands, you can contact the experts – Berwick Automotive Specialists. We’re the friendly car mechanic for Berwick, whether you need a brake service or a roadworthy certificate or pre-purchase car inspection! We are a registered log book service, so you don’t have to fork out for the expense of a dealership service.